Lake View Self Catering Accommodation is owned and run by Brian and Mary Mc Keon who have been in the business for the past 20 years. 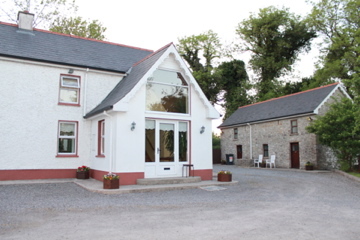 McKeon's is a spacious two storey house in a peaceful rural setting of County Leitrim. The house overlooks George's Lake and is surrounded by a working farm. From the doorstep of this property one can walk one minute down to the lake and take out one of the complimentary boats for some fishing or just a morning row. The house boasts three bedrooms, one double ensuite and two twin rooms with a shared bathroom. There is also a lounge with an open fire and a kitchen/dining room. There is an additional downstairs toilet, telephone and washroom with dryer. And for those rainy days there is a separate games room and children's play area. Also availble is a 4 bedroom self-catering bungalow that sleeps 6-7 with private parking. This is an ideal base for angling, golfing and hillwalking holidays.